Cycling in Taiwan - Tips & Tricks for the best bike trip! 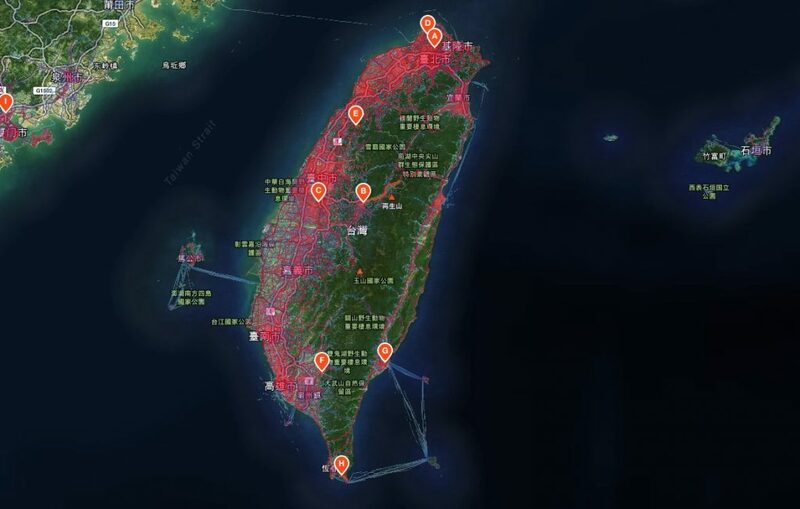 Taiwan is rapidly becoming known as “The Island of Bikes”. The mountainous island has plenty of diversity in roads to offer and has been producing world famous bikes (eg. Giant) for a long time. Giant is the biggest bike manufacturer in the world based on revenue. During the past decade the attitude towards cycling next to only producing bikes has changed. What can this country offer to cyclists? In this guide you’ll find all information required to make most out of your cycling trip in or even around Taiwan. Where to ride: pavement, bike paths or the highway? The rules in Taiwan are simple, you can always use the main roads except when there is a signed bike path. Cycling on sidewalks without a dedicated bike lane will be fined with NT$600 so it is either on or off based on where the signs are. 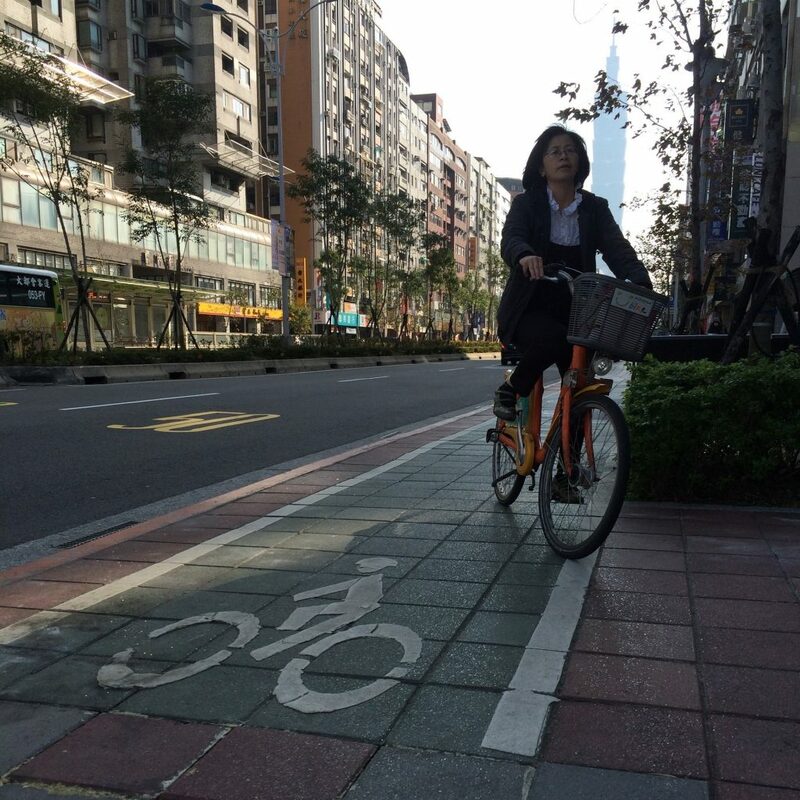 The country is investing heavily in building more designated bike paths in crowded areas like Taipei. Whenever you are riding in the city, look out for these lanes on the pavement. Currently, over 5000 kilometres of trails are part of the official bike network across the island. Outside the cities it is OK to use the highways. Most of them even have a scooter and bike lane separated from the fast traffic lanes. Quality of these roads is amazing so you would be stupid not to use them. During the day the traffic is almost nonexistent outside the cities so enjoy the space you have. All the space of the world on a road separated from fast traffic with a concrete wall! Cars and other road users are used to cyclist and do take care of you. During my 9-day trip I have had only one close encounter with a car while we have ridden around 400km of roads shared with cars. You do have to watch out: especially outside the major cities people don’t take the rules so seriously as they should. In the Southern part of the island people are much more likely to cross red lights, driving on the wrong side of the road coming straight at you with their crappy scooters or making illegal left handed turns where they are not allowed to. 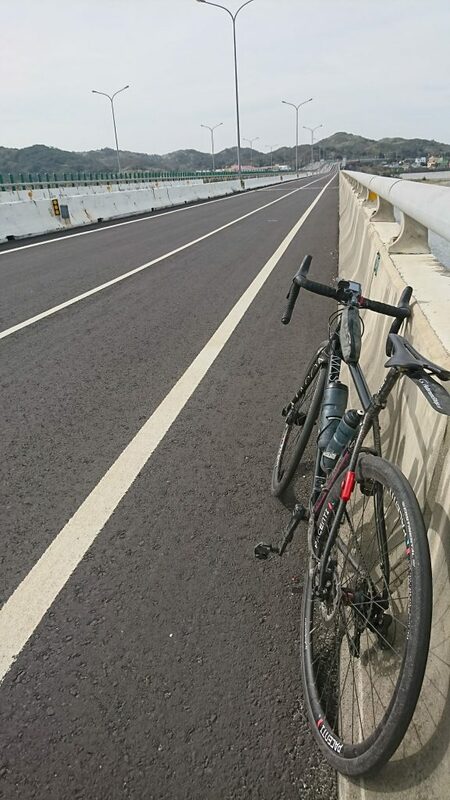 Quiet bike path out of the busy Taipei City area! Across the relatively small country there are over 5.000 (!) 7-Eleven stores, most of them opened 24 hours a day. Next to offering all kinds of food and drinks, some of them which are located near the dedicated cycling routes have bike stations. These have pumps and maintenance gear to fix flats. They sell tubes of most common sizes and have a great variety of special energy bars. Free restrooms in over half of them! If you buy microwave meals, ask the staff to warm it up. After signing up, you can get 3 periods of 30 minutes of free wifi per day. Another thing that could come in handy: you can send packages from one 7-Eleven to another across the country. When to go cycling in Taiwan? 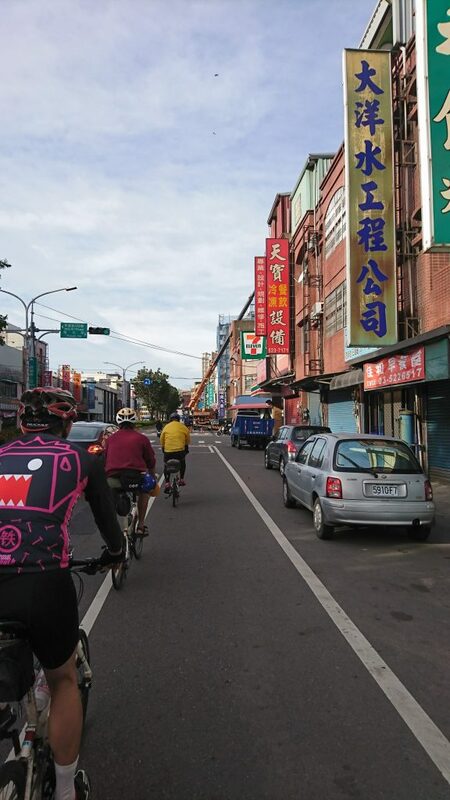 The best time to go bike riding in Taiwan is the period between October and February. During these months temperatures are ranging between 19 and 27 degrees Celsius. The summer months are usually really hot and particular wet. An extensive railway system that circles the island has trains equipped to transport bikes. So whenever you decide to skip a part or have mechanical issues, taking a train will be no problem at all in most cases. Do check if they allow folding bikes only, which can be policy on regional trains. The transportation board is trying to get more trains equipped with bike spaces. Next to that, some trains, especially in the weekend are fully booked. So be prepared for some waiting time if you haven’t booked tickets in advance. More information about the railway and for buying train tickets, go to Taiwan Railways Administration website Travelling with your bike always require a separate ticket. 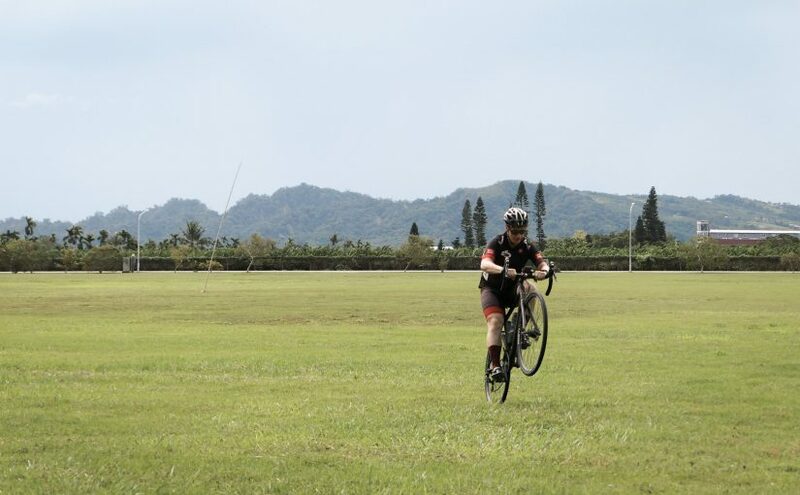 Where to ride in Taiwan? 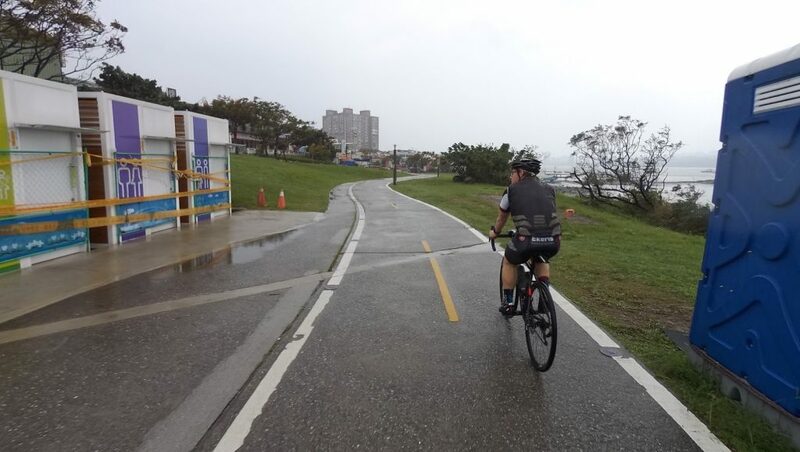 The most commonly used route is cycling route #1! This 900 kilometer route circles around the whole island. 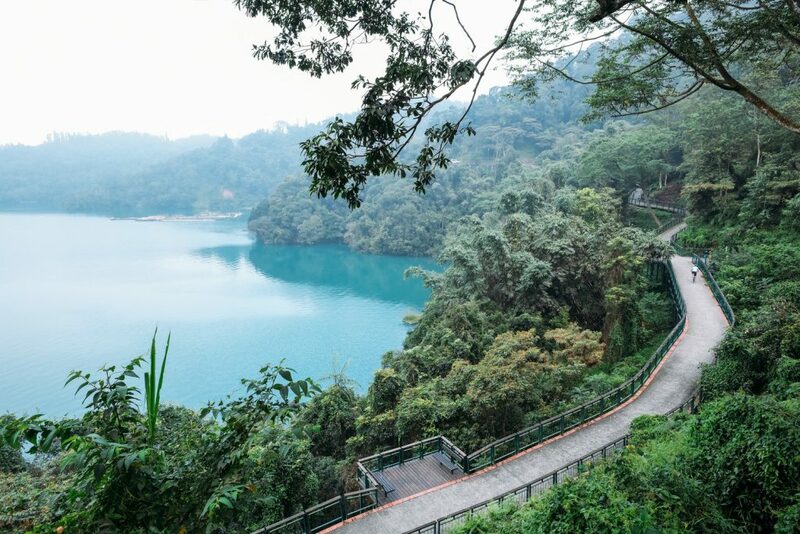 Check it out on Google Maps: Taiwan Cycling Route 1 most people ride it in 5 to 15 days based on their previous cycling experience and the number of attractions the visit during their ride. Thanks for the inspiring story. Now I’m even more convinced to cycle around Taiwan. I have one question; How did you arrange the lugage service? I have been searching the internet but could not find it. Do you have any tips or even sites which I can check? Thanks for promoting Taiwan. I have lived in Taipei for the past 15 years, so I know pretty well the routes. 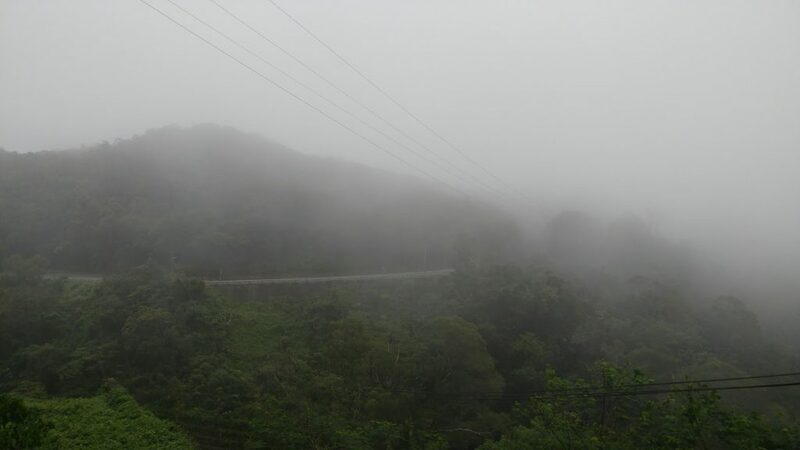 While the “route 1” around Taiwan is nice, you may want to take a train for the Hualien-Yilan section: this is a very beautiful but narrow road, with a lot of truck traffic and long tunnels. Accidents are frequent. Also, rather than staying on the west coast which is quite industrialized, I would rather explore the East coast, or go into the mountains. They are tons of fantastic climbs, Taiwan is about climbing! The Wuling climb (3300m) from both Hualien and from Puli is a must do!